This is a 1943 ad for a Motorola FM Phonograph-Radio Combination! The size of the ad is approximately 8.5x11inches. The caption for this ad is 'Scheduled for delivery some time in 194?' The ad is in good overall condition, with some holes on the left side. This vintage ad would look great framed and displayed! Add it to your collection today! 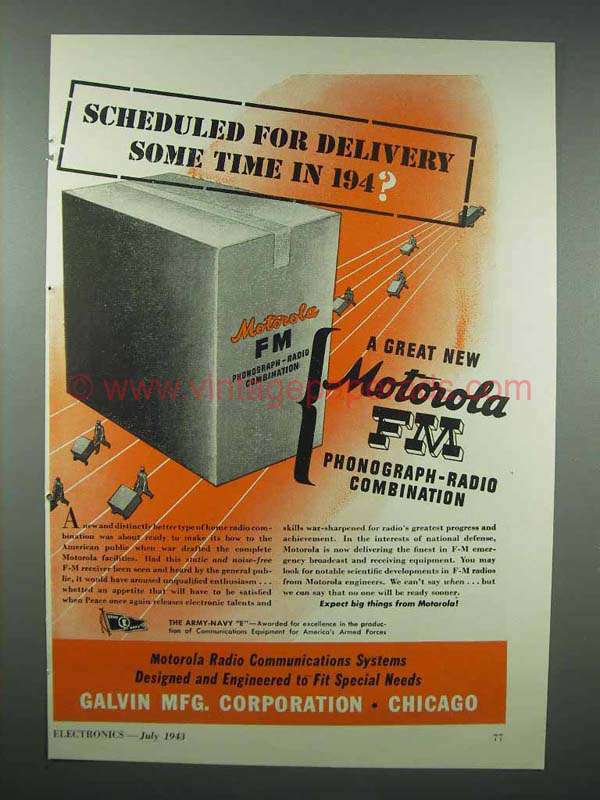 1943 Motorola Radio Ad - Had it For Twenty Years!